E Ink announced a new collaboration with Texen, a provider of product solutions for the luxury and beauty market, to bring personalized packaging solutions to cosmetic customers. The companies demonstrated a smart packaging design for customizable packaging displays for makeup compacts, perfume bottles and other cosmetic packaging. The E Ink display is powered purely by near field communications (NFC) and can be updated by a smartphone that generates radio frequency signals carrying both the information and energy needed to update the display. 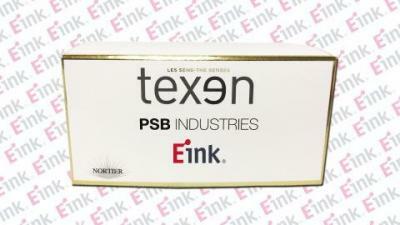 E Ink and Texen are already taking customers orders for the new solution.